Romanian mining regulatory authority approved the new exploration license to Vast Resources Sinarom Mining Group for additional drilling perimeter. Vast Resources’ Romanian subsidiary SC Sinarom Mining Group has secured a prospecting licence over an extended perimeter at the site of its Manaila Polymetallic Mine (MPM). The existing MPM mining licence covers 0.0675km², and will now extend to an additional area of 1.323km² following the extension. Based on previous exploration, it was found that the mine ore body extends to the north-west and south-east. 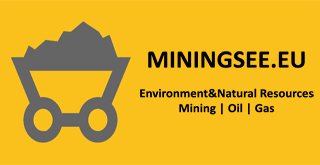 The company plans to complete the exploration programme, the defining of reserves and resources and preparation of a mine plan for MPM, and will apply for a mining licence on the additional area. In the third quarter of 2015, Sinarom completed resource drilling on the existing MPM mining licence, which has indicated a likely increase in the current open-pit resource. The first phase of drilling campaign is planned to start during the second quarter of this year. Vast Resources chief executive Roy Pitchford said: “The additional prospecting area granted at our Manaila operation provides Sinarom with the possible opportunity to increase its resource base at the mine. Historic exploration data indicates mineralised areas to both the south-east and north-west of our current orebody.